Called the Infinix Zero 5, the smartphone will be launched at an event in Dubai but will make its way into India. To recall, Infinix made its entry into the Indian market in August this year with the launch of its Note 4 and Hot 4 Pro handsets. The brand has been conspicuously silent since. Transsion is behind two other brands that recently made their way to the Indian market - namely, Itel and Tecno, which arrived in India earlier this year. Not much is known about the Infinix Zero 5 right now. The Dubai launch event will be held at 6pm local time (7:30pm IST), so stay tuned for the latest details emerging from the event. 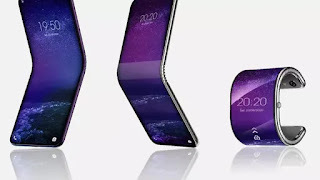 Separately, an IANS report citing industry sources claims that the Infinix Zero 5 will sport an 'edge-to-edge' display, a dual camera system, and would be priced below Rs. 20,000 when it hits markets before the end of November. The report also claims the smartphone would bear 6GB of RAM and come with 128GB of inbuilt storage that will be expandable via microSD card. Infinix has so far only launched two smartphones in India - in its Note and Hot series. No device in its Zero series has made its way to the country yet, so the launch of the Infinix Zero 5 will be the series' debut in India. In other countries, the company is still selling the Zero 4 and Zero 4 Plus smartphones, with their USPs being superior photography with laser autofocus, as well as fast charging.